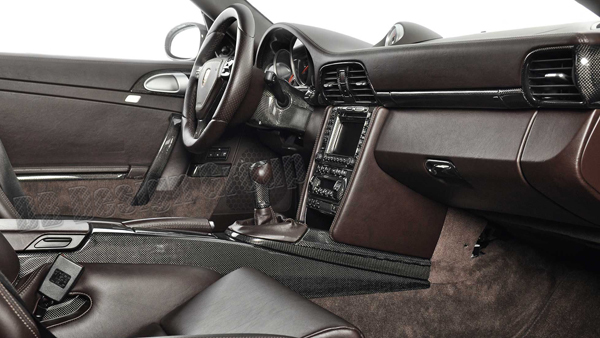 For the Porsche 987.2 Boxster and Boxster S we offer carbon interior parts, on the dashboard the side and center vents, the chrono clock housing, navigation and climate control front panel, storage box, trim strips, cupholder, center console side covers; on the instrument the cockpit surround, the ignition surround and light switch surround, steering column housing, dash trim panels with glove box lid and handle, loud speaker and defroster trims; as well as the center console with the ash-tray, shift knob surround, armrest, shift-knob and hand-brake. On the door panels you´ll find with us the door handles, door pulls, storage box lid´s, side mirror covers, airbag emblem and trims, furthermore on the footroom the fuse box lid, bonnet and boot switch cover and the storage tray on the passenger´s side, as well as the door sills; on the interior roof the interior light cover, trim behind sun visor´s, pillar covers, the interior mirror; on the seats the backrests, coat hooks, seat release handles and switch trims and our steering wheel with attachment parts after customer specifications. 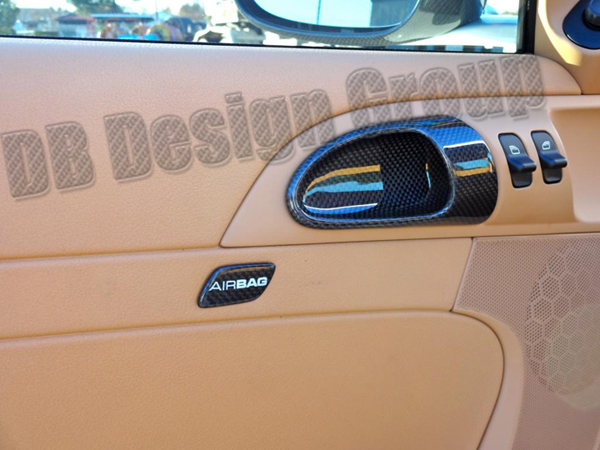 On the exterior we offer carbon parts like the side mirror housings and triangles, windshield cowl with wiper arms, air grills, the door pulls, tank cap, side air intakes, diffusor and the rear spoiler. Other parts on request, don´t hesitate to contact us for advice on your perfect with existing material/colours combined package. Carbon side vents r+l, including the little fins, the adjusting wheels and the air passages! For the Porsche 987.2 Boxster. Carbon trim strips under side vents r+l! For the Porsche 987.2 Boxster. 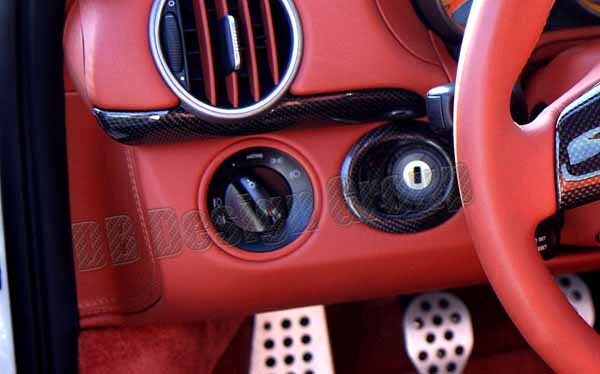 Carbon vent in the middle, including the little fins, the adjusting wheels and the complete air passages! For the Porsche 987.2 Boxster. Carbon trim strip under center vent! For the Porsche 987.2 Boxster. Little Carbon trim strips between steering wheel and center vent! For the Porsche 987.2 Boxster. The 3 cup holder Carbon front trim strips! For the Porsche 987.2 Boxster. Carbon surround of the ignition lock! For the Porsche 987.2 Boxster. Carbon surround of the light switch! For the Porsche 987.2 Boxster. Carbon surround of the hazard switch! For the Porsche 987.2 Boxster. Carbon housing for little instrument/sport chrono clock on the middle of the dashboard. For the Porsche 987.2 Boxster. Upper Carbon cover for the instrument (speedometer)! 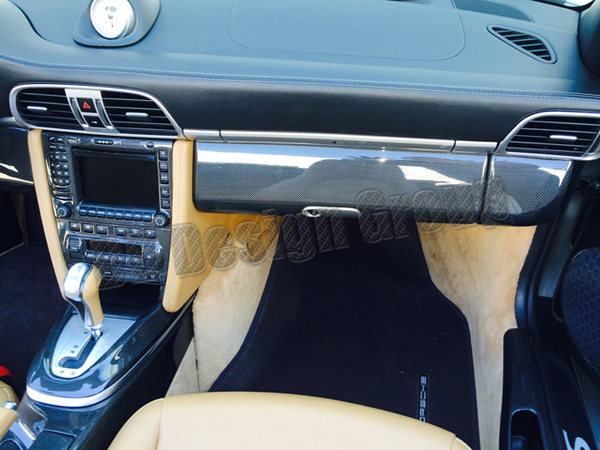 For the Porsche 987.2 Boxster. Lower Carbon cover for the instrument (speedometer)! For the Porsche 987.2 Boxster. 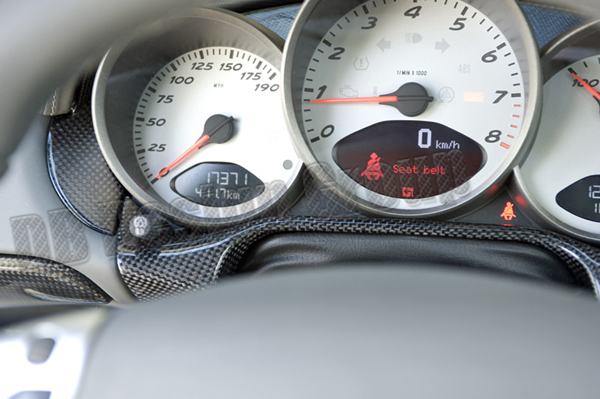 Spyder Carbon instrument surround. 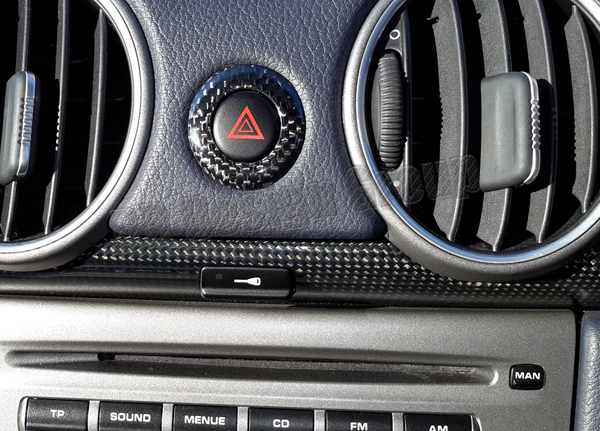 Does also replace standard heavy instrument surround top+bottom. For the Porsche 987.2 Boxster. 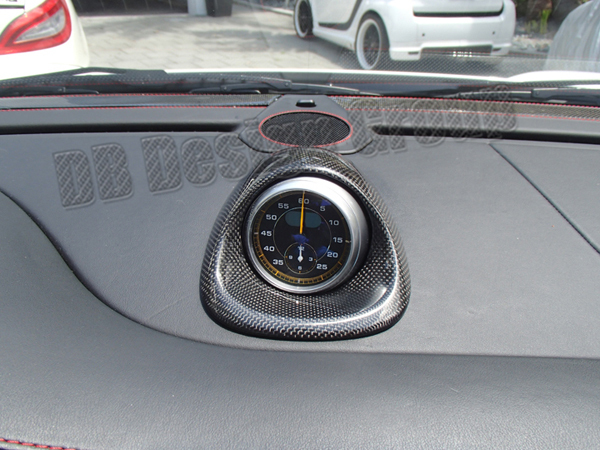 Carbon bridge/trim strip under speedometer/instrument. For the Porsche 987.2 Boxster. 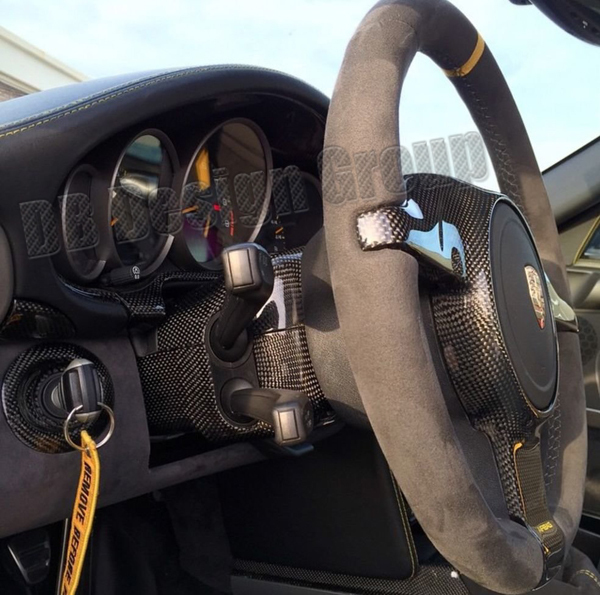 Carbon cover around the steering column/ behind the steering wheel top+down! For the Porsche 987.2 Boxster. 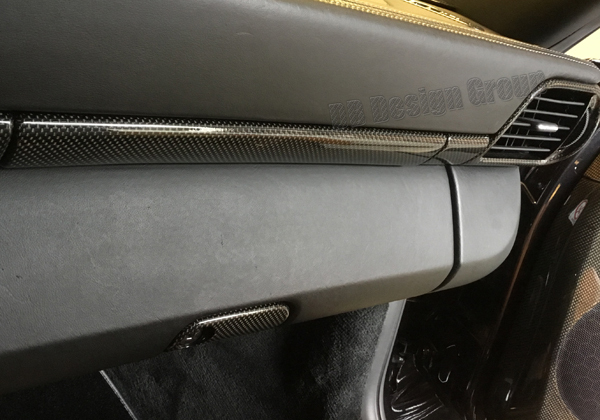 Carbon covers/grills for the air vents on the dashboard. For the Porsche 987.2 Boxster. Lower Carbon dashboard trim panel, right and left side of steering column and surrounds light and ignition units. For the Porsche 987.2 Boxster. 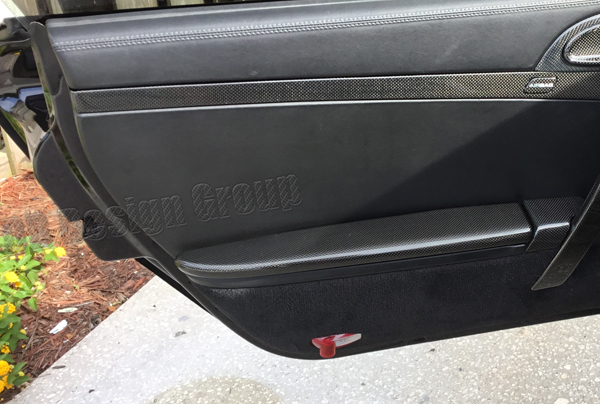 Lower Carbon dashboard trim panel beside glove box on passenger´s side. For the Porsche 987.2 Boxster. Carbon covers beside the vents r+l! For the Porsche 987.2 Boxster. Carbon lid for glove box on lower side of the dashboard at passenger´s side. For the Porsche 987.2 Boxster. 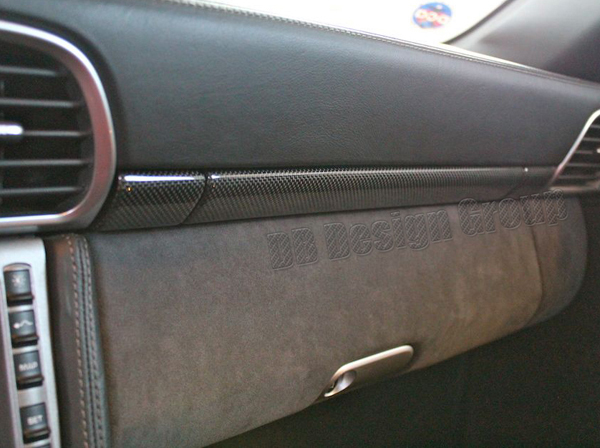 Carbon handle for the glove box under airbag passenger´s side! For the Porsche 987.2 Boxster. Carbon defroster trims on the dash-board, under the windscreen! For the Porsche 987.2 Boxster. 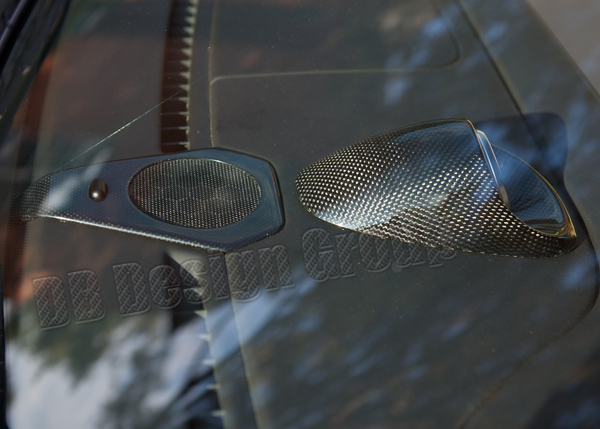 Carbon cover for the loud-speaker under the windscreen, divides the defroster trims! For the Porsche 987.2 Boxster. Side Carbon covers for the center console, beam for the storage box, PCM Navigation....! For the Porsche 987.2 Boxster. Complete Carbon front panel for the PCM unit. Comes ready mounted with all switches. For the Porsche 987.2 Boxster. 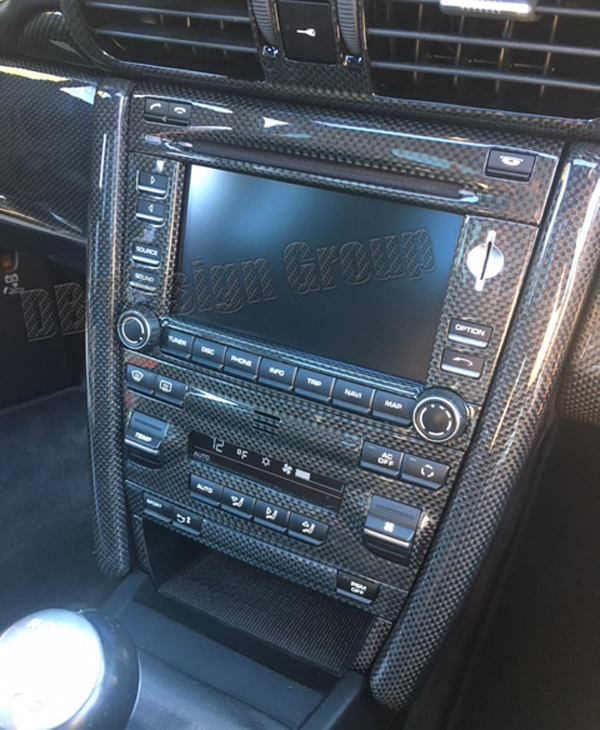 Carbon trim frame for aftermarket double DIN radio/navigation units. For the Porsche 987.2 Boxster. Complete Carbon front panel for the climate control unit. Comes ready mounted with all switches. For the Porsche 987.2 Boxster. 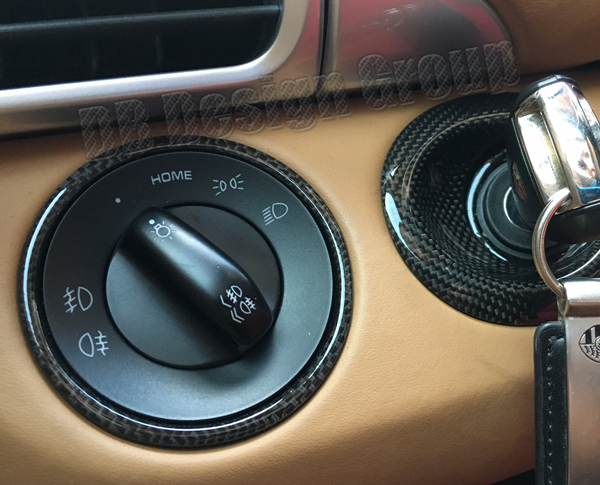 Carbon switch lining below the climate control unit. Comes w/o switches, because there are too much different combinations avaliable. For the Porsche 987.2 Boxster. 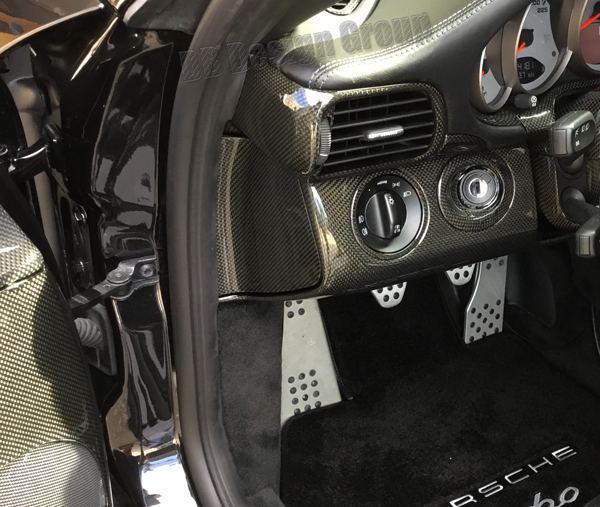 Carbon storage box under pcm navigation, in front of the shift-knob! For the Porsche 987.2 Boxster. 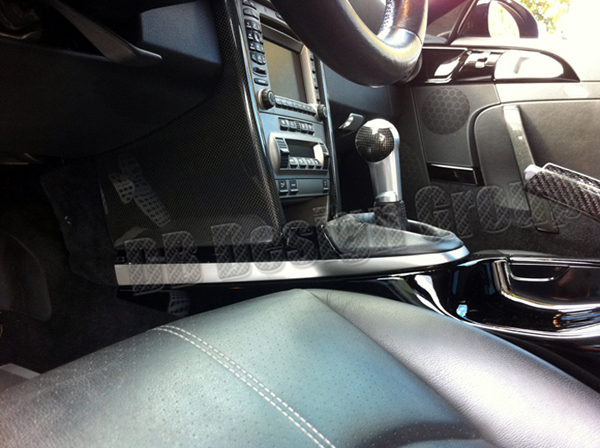 Complete Carbon Middle Console, including cover under Hand-Brake! For the Porsche 987.2 Boxster. 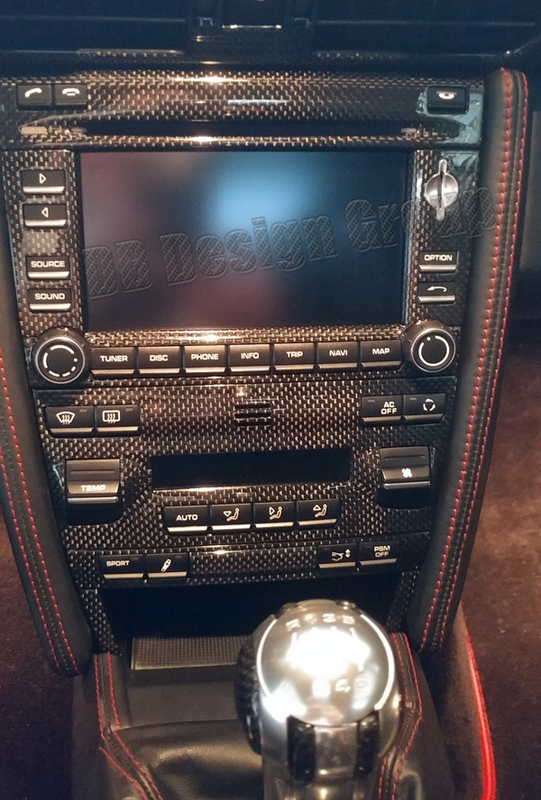 Complete Carbon ash-tray for the Middle Console! For the Porsche 987.2 Boxster. 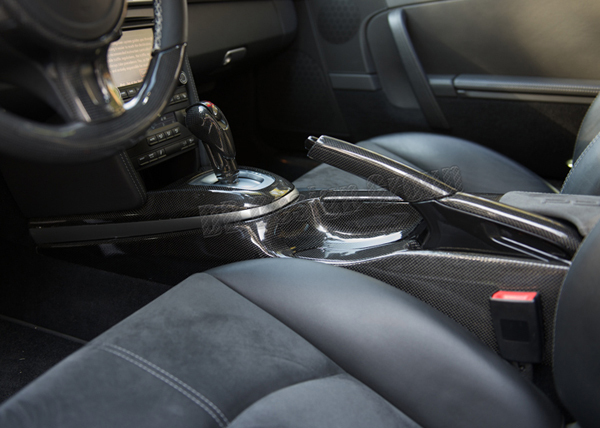 Carbon border under the Shift-Knob/Center! For the Porsche 987.2 Boxster. 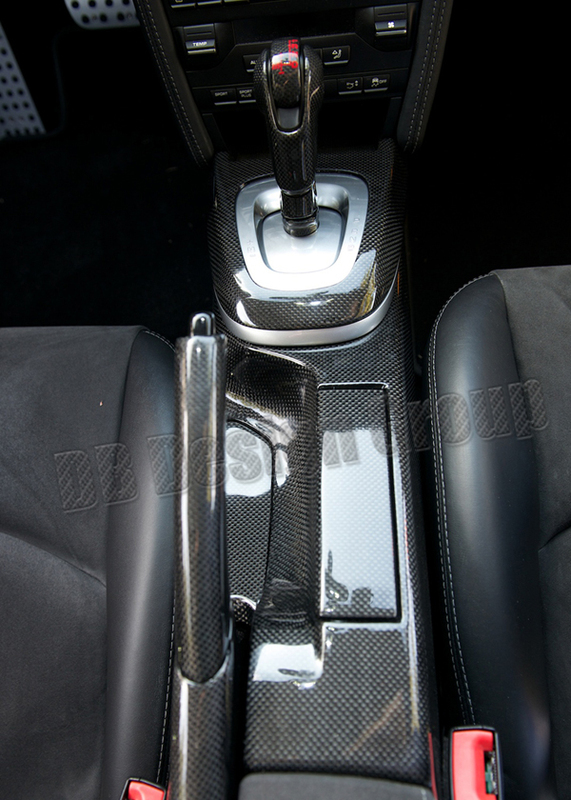 Carbon cover on middle console, surround for the shifter, for cars with manual transmission! For the Porsche 987.2 Boxster. 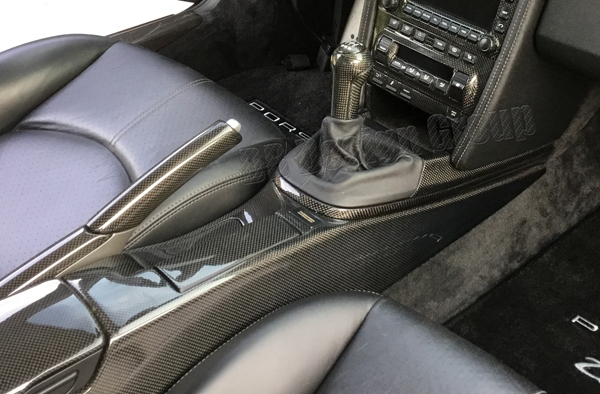 Carbon cover on middle console, surround for the shifter, for cars with PDK transmission! For the Porsche 987.2 Boxster. Carbon lid of the storage box at the rear of the middle console! For the Porsche 987.2 Boxster. 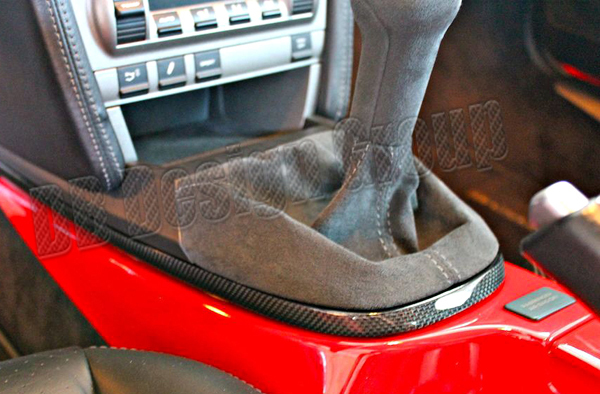 Complete Carbon shift-knob for cars with manual transmission! For the Porsche 987.2 Boxster. 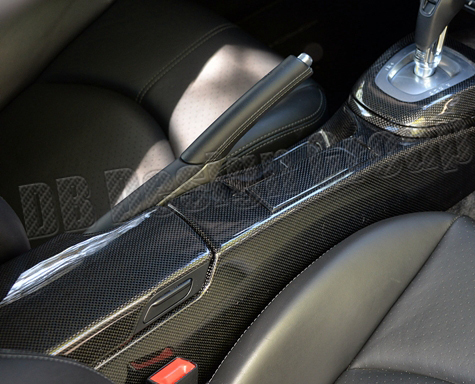 Carbon shifter for cars with PDK! For the Porsche 987.2 Boxster. 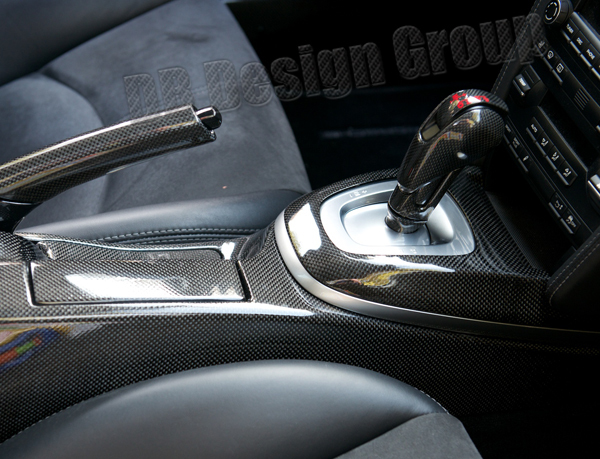 Complete Carbon hand-brake. Avaliable in black/carbon or silver/carbon. For the Porsche 987.2 Boxster. Just the rear Carbon trim on the handbrake. For the Porsche 987.2 Boxster. 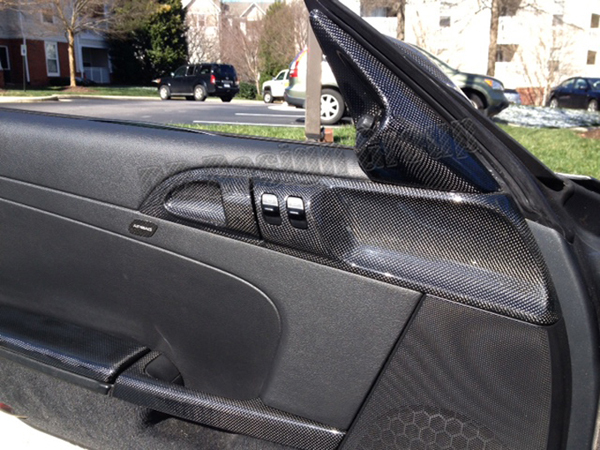 Carbon covers for the door pull´s inside! For the Porsche 987.2 Boxster. 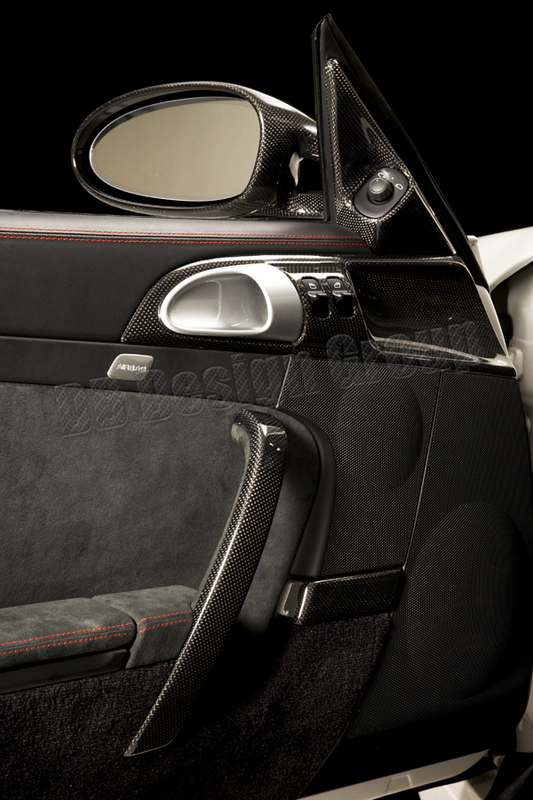 Special Carbon door pull covers, fit with RS/Spyder lightweight door handle kit. For the Porsche 987.2 Boxster. 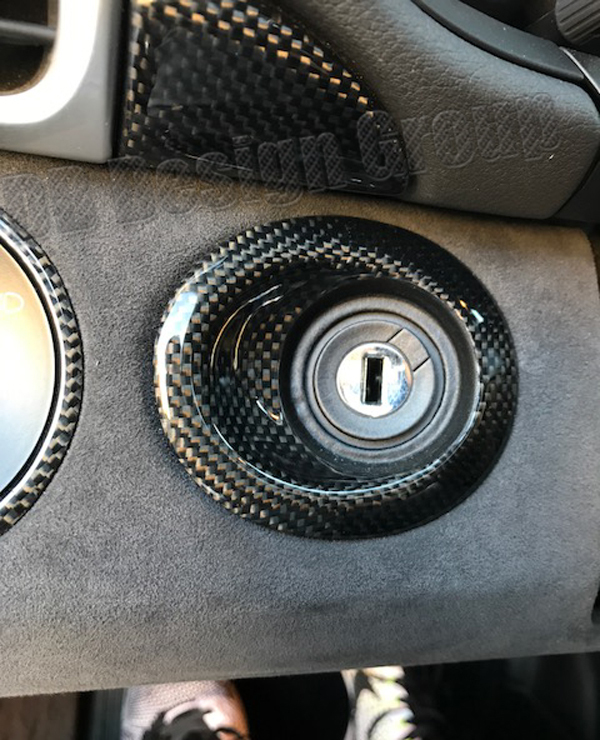 Carbon covers fit on top of lightweight door handle kit from RS/Spyder. For the Porsche 987.2 Boxster. Lightweigt door handle kit, from RS/Spyder. Full replacement kit for the standard metal door pulls. Available in indired, silver, black. For the Porsche 987.2 Boxster. Inside Carbon door pulls r+l! For the Porsche 987.2 Boxster. 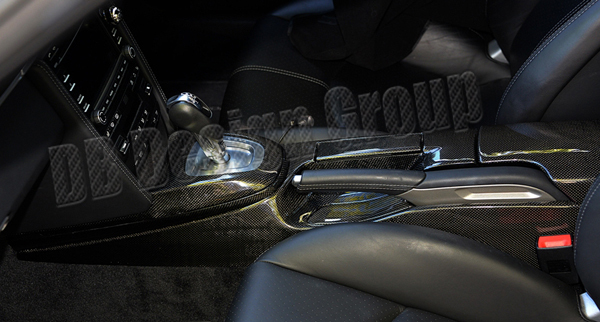 Carbon handles for the door´s inside r+l! For the Porsche 987.2 Boxster. Carbon lid´s for the pockets at the door panels! For the Porsche 987.2 Boxster. Only perfect quality guaranteed for lifetime is good enough for us!